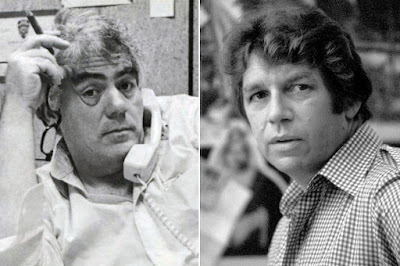 Robert Rorke at the New York Post offers a piece on an HBO documentary about New York newspaper columnists Jimmy Breslin and Pete Hamill. The boozy, brawling days of New York tabloids are vividly evoked in the documentary “Breslin and Hamill: Deadline Artists,” a portrait of columnists Jimmy Breslin, who died in 2017 at age 88, and Pete Hamill, 83. They wrote for the New York Daily News and the New York Post. They were both Irish kids, one from Queens (Breslin), the other Brooklyn (Hamill), who transcended their extremely humble beginnings to become masters of their craft and celebrities in their own right. As co-director Jonathan Alter puts it, “They were there for every big story of the second half of the 20th century, between 1950 and 2001.” That included assassinations (the Kennedy brothers, Malcolm X), crime figures (Son of Sam, Bernhard Goetz), urban horrors (AIDS, the Crown Heights riots) and terrorist attacks (9/11). 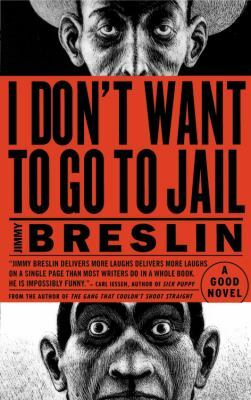 … How did Breslin and Hamill change journalism? They personified an era when print journalists could be swashbuckling figures. It’s unimaginable now. Could you imagine a print journalist (Hamill) dating the most famous woman in the world (Jackie Onassis) and a top Hollywood star (Shirley MacLaine) at the same time? Or hosting “Saturday Night Live” (Breslin)? 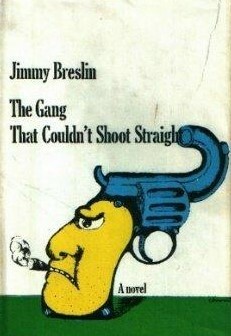 Before Woodward and Bernstein, Jimmy was the most famous journalist in America. He showed that you could write novelistically in a newspaper using facts. Breslin’s column, “A Death in Emergency Room One,” about the aftermath of the Kennedy assassination, blew the doors off journalism. Note: Although I disagreed with Jimmy Breslin’s worldview, I enjoyed his comic gangster novels, The Gang That Couldn’t Shoot Straight and I Don’t Want To Go To Jail.